As revealed by The Tate today, we have the honour of announcing a new album release from the Africa Express collective. 'Africa Express Presents... Terry Riley's In C Mali' follows the critically acclaimed 'Maison des Jeunes' compilation album and marks the 50th Anniversary of 'In C' by composer Terry Riley. 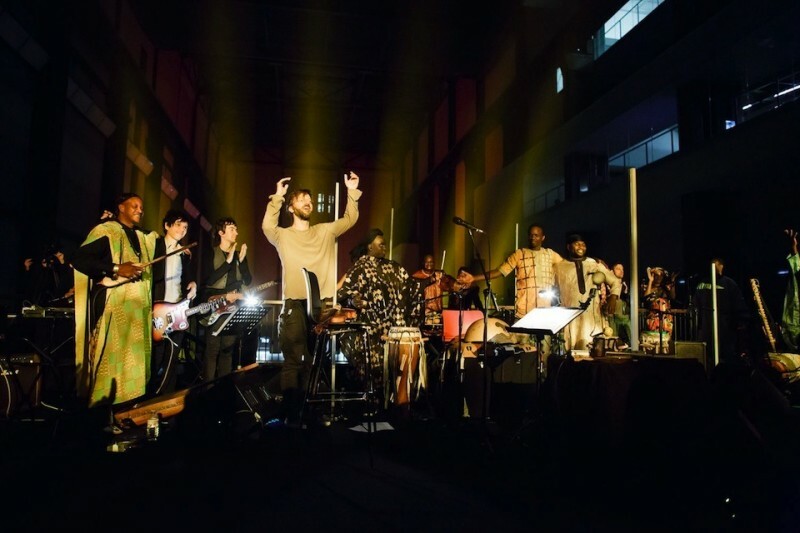 Led by classical conductor Andre de Ridder and recorded in Bamako in 2013, this is the first African version of the piece, featuring contributions from local musicians and familiar names from further afield. The release date will be revealed in due course, however, for now, please head to the Tate website for further information. The site also features photography taken at a recent live recording of the piece amidst the iconic setting of the Tate's Turbine Hall, a full film of which will also be revealed shortly.